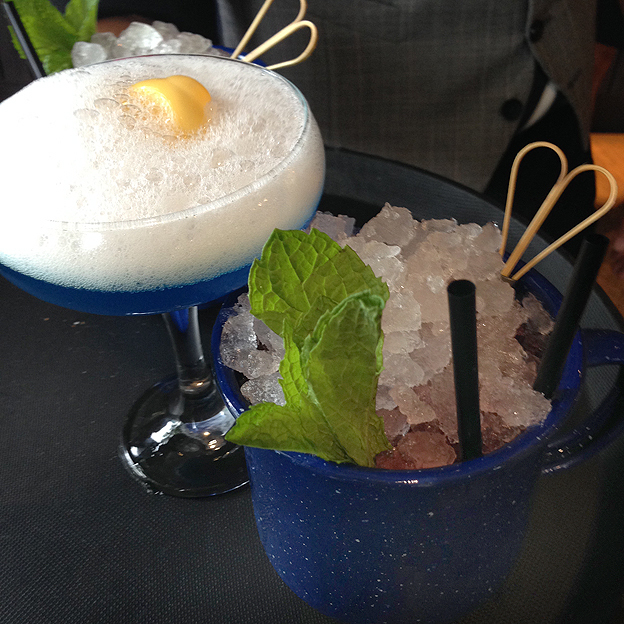 What’s better than spending the afternoon taste-testing newly invented cocktails?! Internationally renowned mixologist Grant Collins was in Adelaide to launch the summer cocktail menu for the Collins Bar at the Hilton Hotel. Grant’s the creative mind behind the bar, which, quite apart from sharing his name, is a nod to the legacy of the Collins-inspired drinks from the late 1800s. 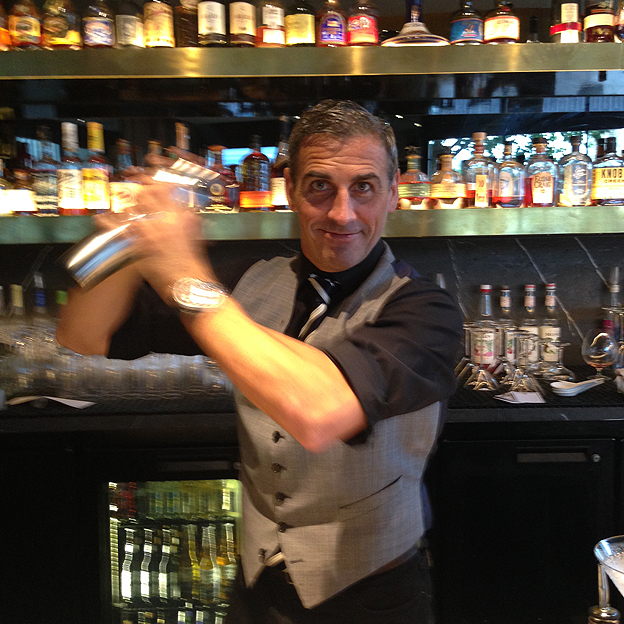 With more than 15 years’ bar experience, Grant Collins has worked in Tokyo, London, New York and has been named one of the World’s Greatest Bartenders. Looking at the wall of bottles, I wouldn’t know what to do with a quarter of these bottles, and that’s why I’m grateful there are experts like Grant. 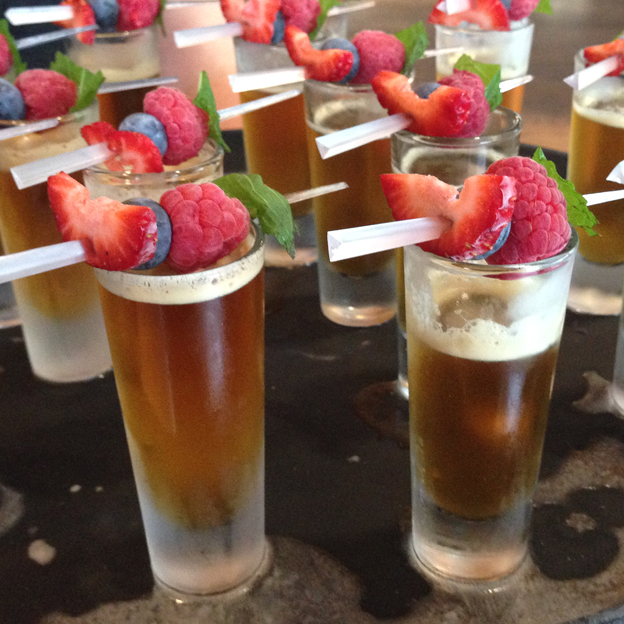 A Pimm’s Cup was the first cocktail to try – to whet our appetites. Eat the fruit (strawberry, raspberry and blueberry) and do the shot. Nice and refreshing! Next up was a ‘Rubber Ducky’, which before drinking we had to sip the lavender and rose fog to prepare the palate. Among the ingredients for the cocktail are rose vodka, fresh lychees, rose & lychee syrup and apple juice. The rubber ducky floats on top of a lavender and champagne bubble bath. Served in a blue metal mug, the ‘Spiced shrub’ consists of rum, blueberry syrup, fresh fruit and mint, with a pinch of salt – a beautiful blend of flavours. Grant gave us a brief historical tour of cocktails before taking us through the new menu. He says cocktails date back to Archimedes, from around 200 BC. The 8-10 new cocktails are all inspired by summer, with ice and fresh fruit. He says they are approachable, fun and quirky. It wasn’t until the 19th century that the first cocktail book was written, by American bartender ‘Professor’ Jerry Thomas, inventor of the Tom Collins Gin in the 1870s. Although Grant says cocktails weren’t really cool until the ‘Rat Pack’ of the 1960s. 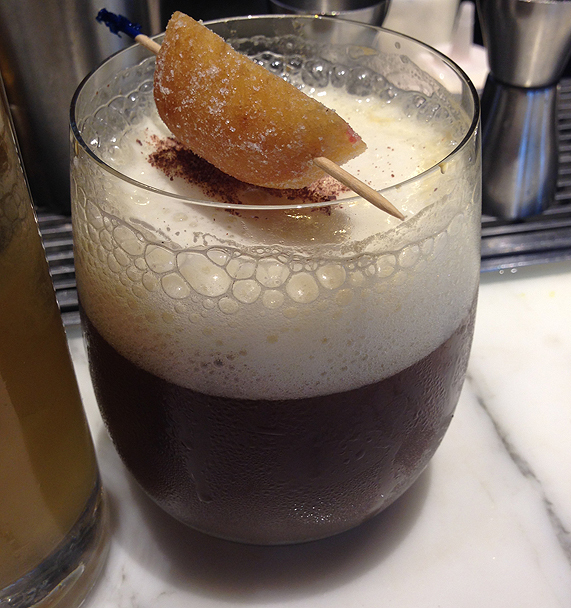 Grant tells us that ‘The American dream’ cocktail is based on American’s love of coffee and doughnuts for breakfast. This cocktail is served with a little piece of doughnut on the side, which you eat first. The cocktail consists of vanilla vodka, Kahlúa, espresso, coffee reduction, a doughnut syrup, caramel foam and grated chocolate on top. I loved this cocktail probably because of my love of coffee. This really is a giant leap on from an espresso martini, which Grant says Adelaide seems to love! 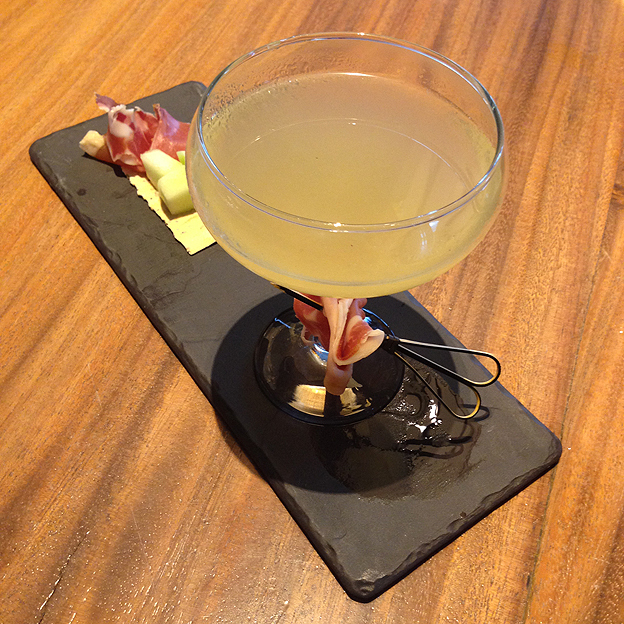 The ‘prosciutto melon martini’ is a snack in itself. Eat the melon, sip the cocktail then eat the prosciutto. Some of the ingredients in this cocktail include honeydew gin and limoncello. A lovely refreshing cocktail! The ‘Caribbean cloud’ is something I could float away with; eat the pineapple and candied orange and sip the cocktail, through the marshmallow foam. A Tiki drink with spiced rum, caramel syrup, pineapple juice – a lovely citrus flavour. 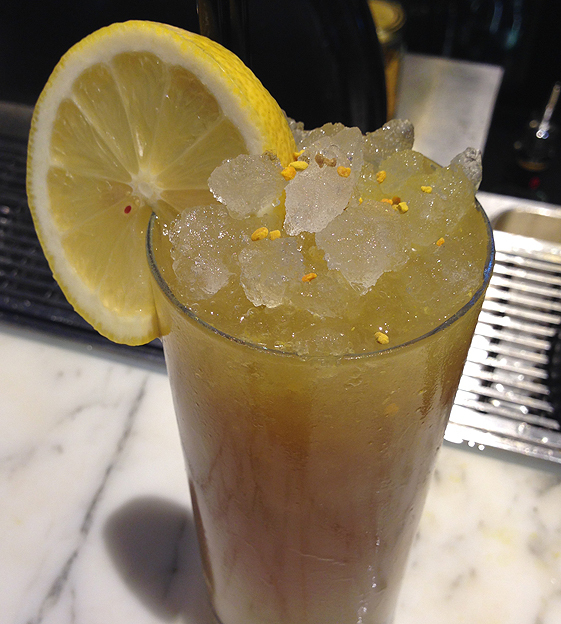 And finally the ‘Earl Grey Fizz’; a simple elegant drink with subtle flavours. Grant has also released his first book, Mix it Up: with cocktails and light bites (published by New Holland publishers). This covers everything from the classics to progressive cocktails, cocktail food and how to set up your own cocktail bar. I’m certainly looking forward to mixing a few up! 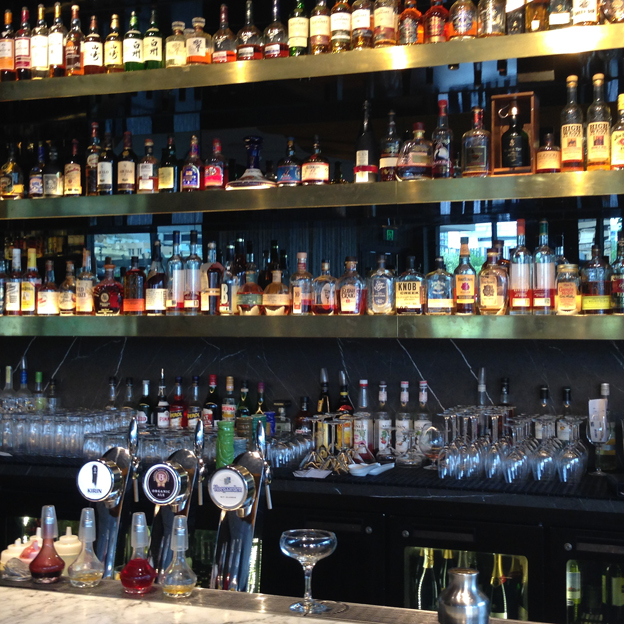 The Collins Bar is a clean modern space with a stunning bar stocked with over 45 gins, 55 bourbons, an array of scotch whiskies and tequilas. The corner location has views overlooking Victoria Square and a nice place to sit back and relax, watching the world go by! 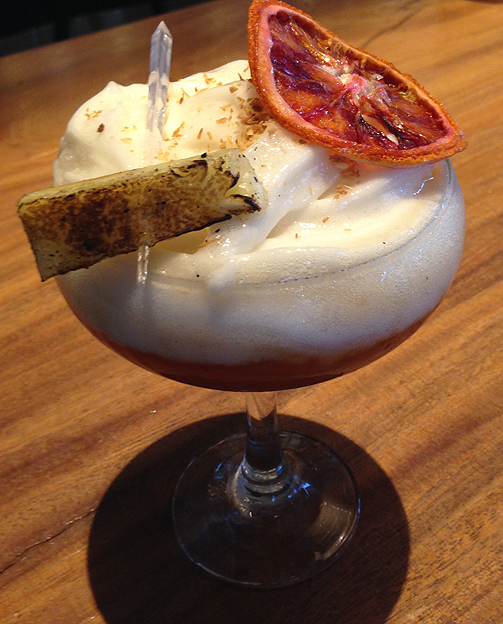 The summer cocktail menu will be publicly available from January 19th 2015. The Collins Bar will be closed from the 21st of December 2014 to the 11th of January 2015. They will however be open on the 27th of December and New Year’s Eve. 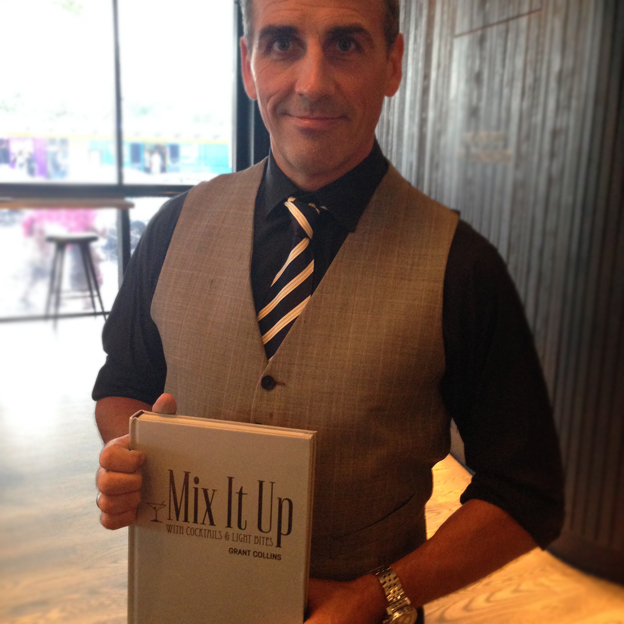 ** I received a copy of Mix it Up and a cocktail kit from Harris Scarfe, Grays PR, Grant Collins and the Collins Bar at the Hilton Hotel.